Why volunteer as a Hedgehog Champion? Hedgehog Street is as much about people as it is about hedgehogs. Hedgehog Champions are the people that make it work – you don’t need any special skills to be one, just a bit of initiative and a love for spiny creatures! I hope you can see that there’s huge scope for each of us to do something for hedgehogs, even if you don’t have a garden. Pledge to make a hole in your garden fence or wall, then once you’ve done it come and map it on the BIG Hedgehog Map. 2) Learn all about hedgehogs and how you can help them. There is a huge amount of information on this website about these spiny beasts – the UK’s favourite wild animal and a creature that is sadly in trouble. These slides and accompanying notes will help you give a 1 hour talk about hedgehog conservation and ecology to a general interest group. Based on the latest research. Two sided overview of hedgehog basic stats. Educate the neighbours! 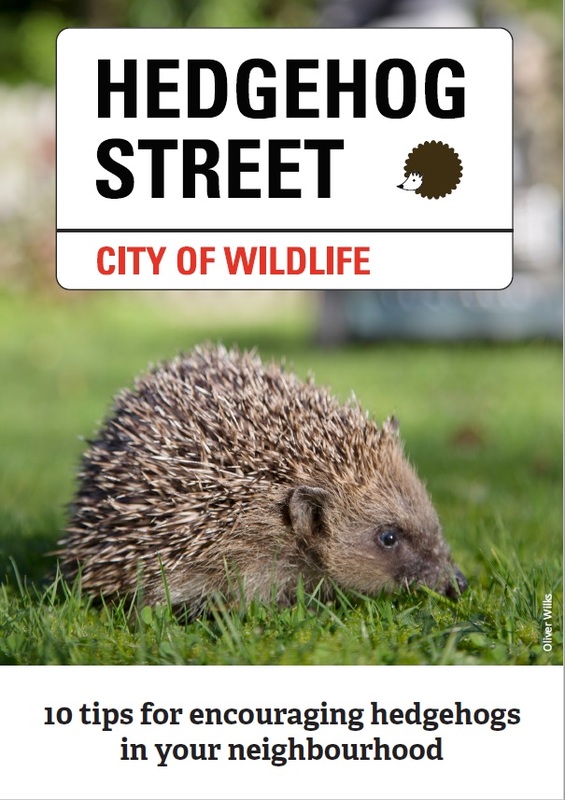 Designed for easy-printing, post these invitation cards through letter boxes in your neighbourhood to raise awareness about the plight of hedgehogs and to promote Hedgehog Street. Print this poster out and pin it to a local noticeboard to raise awareness. You can add you personal contact details if you wish and start a Hedgehog Street community group. Ten simple tips for helping hedgehogs. Our main Hedgehog Street leaflet. This is available as a free download, and also in physical form. Contact PTES or BHPS for more information on availability of the printed version. Instructions on how to build three different types of hedgehog house. 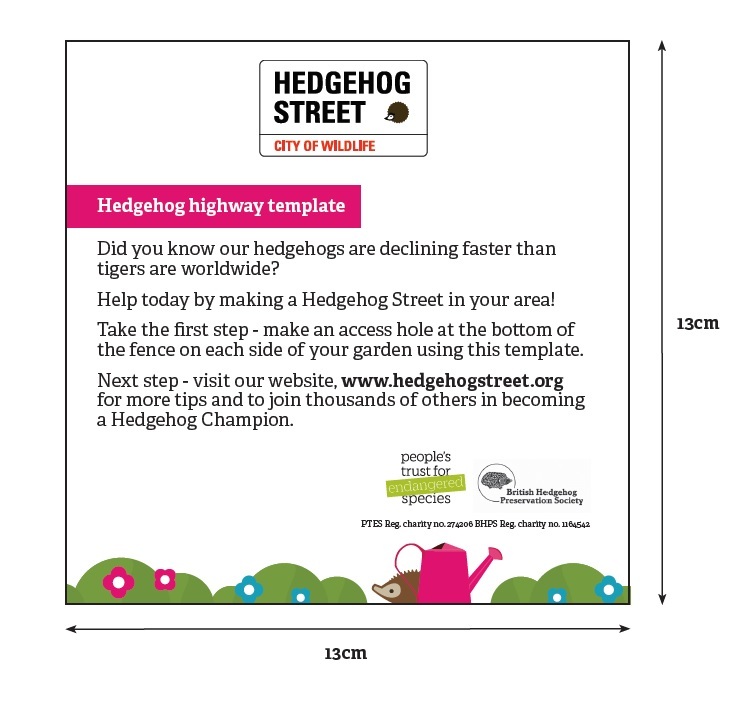 This is a printable template for a hedgehog-sized hole that will provide the crucial access through your garden that they need. Twelve double-sided cards with images and advice on hedgehog-friendly activities that are simple and engaging. Print them and then scatter into the crowd from a great height! If you register on Hedgehog Street you will be part of an army of tens of thousands of regular people who have decided to stand up for hedgehogs in their local community. I’m registered but I can’t log in – help!